Just a week a go, while hanging out with my friends at SM Calamba, we visit a game console shop(I FORGOT THE NAME. -_-, I'll post the shop name when I come back there.) and me just joking my friends inside the store that there is already a PS Vita available here in the Philippines, one of the sales man there heard me and said that they have a stock of PS Vita there. We are surprised because we didn't expect that PS Vita will be available there. We saw the package of the console. They sell it for 21,665php(WiFi + 3G) and 20,000php (WiFi Only). 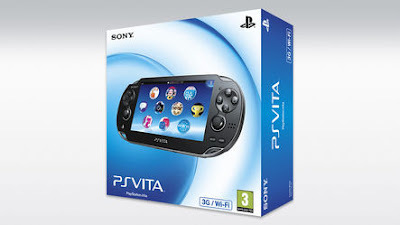 They also have PS Vita games available there. I'll post the picture of the store and their PS Vita when I come back there.